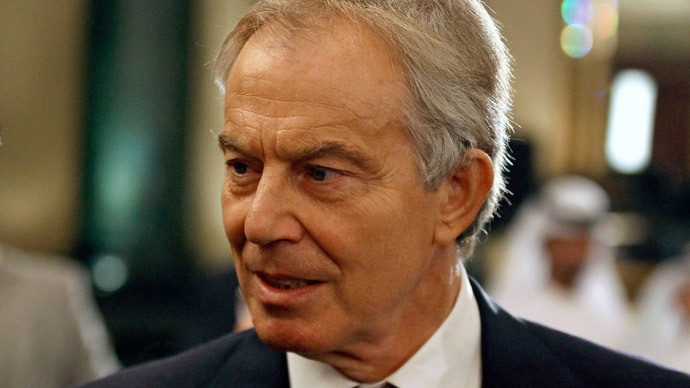 Tony Blair insists he is not to blame for the delays in the publication of the Chilcot Inquiry. In astatement released on Wednesday the former Prime Minister called claims he was behind the delay incorrect and "politically motivated". The extensive inquiry into the effects and legality of the 2003 invasion of Iraq will not be published until after the 2015 General Election, leaving those who believed its conclusion should be put before voters dismayed. It was revealed on Tuesday that the chairman of the inquiry, Sir John Chilcot, will outline the reason for the prolonged postponement in aletterto David Cameron on Wednesday. A cross-party selection of backbench MPs were due to debate the release of the report of the inquiry, which last took evidence from a witness in 2011, on January 29 and were expected to demand immediate publication. One reason for the extensive delays was the “salmon letters” sent by Chilcot to those criticized in the inquiry to give them an opportunity to defend themselves prior to publication. The Prime Minister has previously expressed his frustration at the delays, which have reportedly centered on how much of the private correspondence between former British and US leaders Tony Blair and George W. Bush can be made public. It was decided in June last year that the “gist” of the conversations could be released; seemingly removing one of the major obstacles, but the report remained unpublished. Blair has denied he has any responsibility for the delay in publication and sources close to the former PM say that the main cause of the problem lies with the civil service and relations between the UK and US intelligence agencies. The release of the inquiry was discussed by David Cameron and US President Barack Obama at the White House last week. Ministers who believed it was essential to publish the report before the general election have responded with fury, calling it a “scandal”. Deputy Prime Minister Nick Clegg accused the inquiry of “sexing down” the findings to meet with the needs of the establishment. “The public have waited long enough and will find it incomprehensible that the report is not being published more rapidly than the open-ended timetable you have now set out,” he wrote. “If the findings are not published with a sense of immediacy, there is a real danger the public will assume the report is being ‘sexed down’ by individuals rebutting criticisms put to them by the inquiry, whether that is the case or not,” he added. There is speculation that if the report had been published prior to election it would have been most detrimental to Labour and was likely to benefit the LibDems most. Tony Blair remains adamant that he did not mislead parliament about the intelligence he received that Saddam Hussein was stockpiling weapons of mass destruction – the official reason for the invasion. The original informants, however, have since been discredited.